According to the book The Cinema of George Lucas, American Graffiti was filmed 6/26/72 - 8/7/72 in the California towns of San Rafael, Petaluma, Sonoma, Richmond, Pinole, San Francisco, Novato, Mill Valley, Berkeley, and Concord. At the beginning of the movie, the beautiful clouds over Mels Drive-in were not in the original film. The tagline was Where were you in '62? It was produced by Francis Ford Coppola and directed by George Lucas, who was selected to receive the 33rd AFI Life Achievement Award, the highest honor for a career in film. American Graffiti received the following Academy Award nominations: Best Picture, Best Director (George Lucas), Supporting Actress (Candy Clark), Film Editing (Verna Fields, Marcia Lucas), Writing (story and screenplay, based on factual material or material not previously published or produced) (George Lucas, Gloria Katz, Willard Huyck). American Graffiti is number 77 on the American Film Institute's list of the 100 greatest movies. The story. In 1962, teenagers cruise, wondering if they should leave their town to go away to college. The movie was re-released a few years later, with new footage of the car salesman constantly talking to Terry the Toad. This was one of the best movies I've ever seen. Radio station XERB is mentioned throughout the movie. This page has a great compliment for Wolfman Jack from Pete Fuentes and a portion of Wolfman's XERB radio show from April 12, 1970. Steve Bolander, Class of '62, Class President - Ron Howard. Laurie Henderson, Class of '63, Head Cheerleader - Cindy Williams. Mr. Kroot - Irving Israel (Mark Anger). 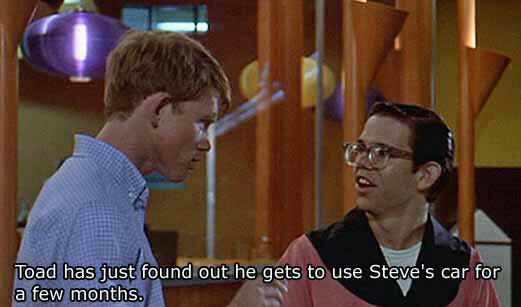 Mr. Kroot, a school employee, threatens to throw Steve out of school. 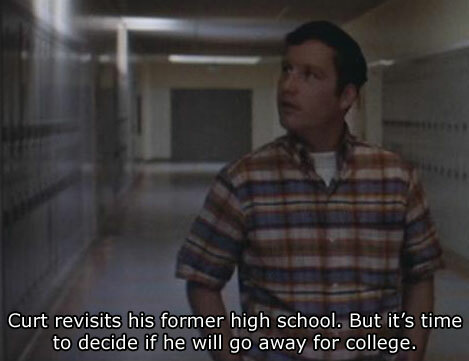 But it doesn't matter since Steve graduated last semester. Debbie Medway, Class of '61 - Candy Clark - According to the movie trailer, Debbie's last name is Medway, but in the book, The Cinema of George Lucas, her name is Dunham. Carlos - Manuel Padilla, Jr.
Badass #1 - Johnny Weissmuller, Jr.
American Graffiti includes a documentary, The Making Of American Graffiti. At www.amazon.com on DVD. Interview with Mike Famalette, owner of the '58 Chevy Impala driven by Toad in the 1973 classic film, American Graffiti. I like the interview but the type needs to be bigger on the subtitles. KRE radio was used for the Wolfman Jack scene in American Graffiti. Wolfman Jack can be heard on KABX radio. Now married with kids, Laurie (Cindy Williams) and Steve Bolander (Ron Howard) are arguing about the woman's role in the home. Terry "The Toad" Fields (Charles Martin Smith) and Joe (Bo Hopkins) are part of the fighting military in Vietnam. 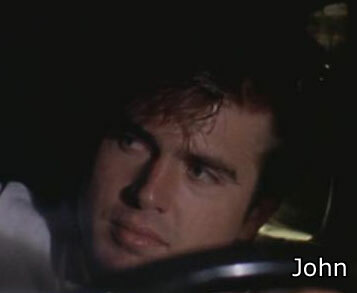 John Milner (Paul LeMat) seems to be trying to find himself. 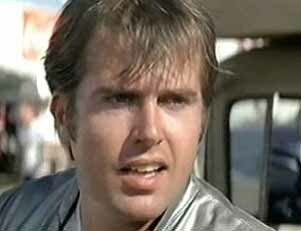 He's attempting professional drag racing and finds a new love interest, Eva, (Anna Bjorn), who speaks no English. Richard Dreyfuss doesn't appear in this film but his character of Curt is mentioned.